By Xah Lee. Date: 2012-05-30 . Last updated: 2017-08-30 . 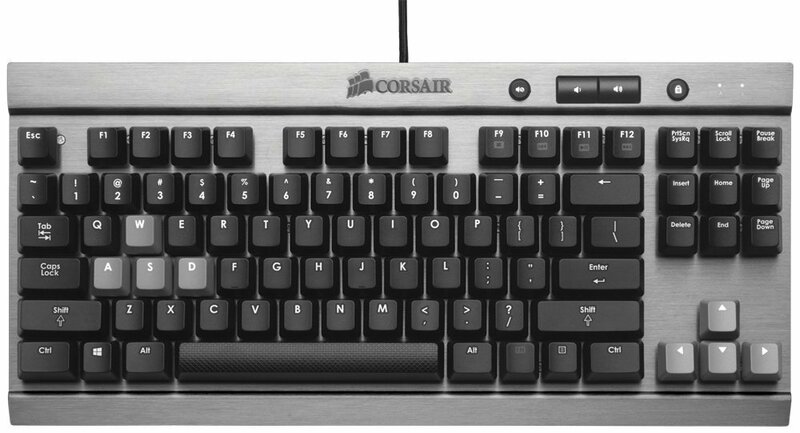 Corsair, a famous brand for gaming gears, also makes top quality keyboards. WARNING: Corsair STRAFE Keyboards require driver software “Corsair Utility Engine” to work. You cannot use programed keys without Corsair's software, even on another Microsoft Windows box. WARNING: The STRAFE keyboards do not work on Linux out of the box even as basic keyboard. FPS/MOBA keycap sets. You can attach to the WASD keys if you prefer. Gaming-grade circuitry - 100% anti-ghosting with 104 key rollover on USB. 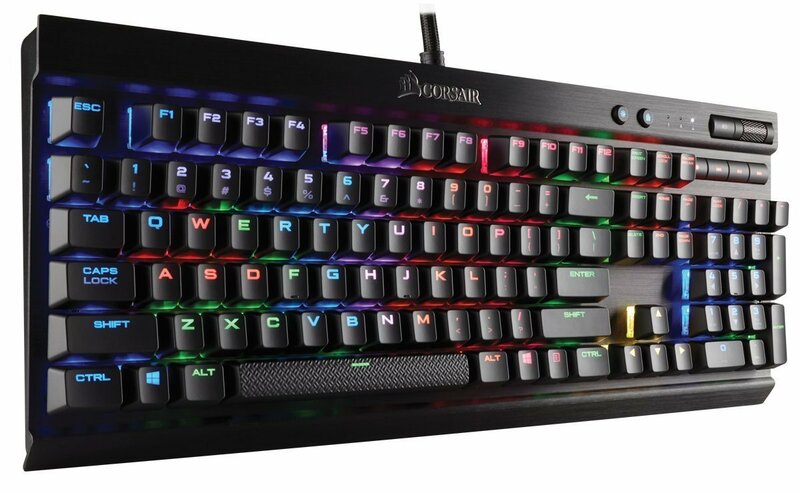 RGB (red green blue) keyboard means keyboard has multi-color dynamic backlighting. Namely, it can light up in all rainbow colors. You can chose models with different key switches. 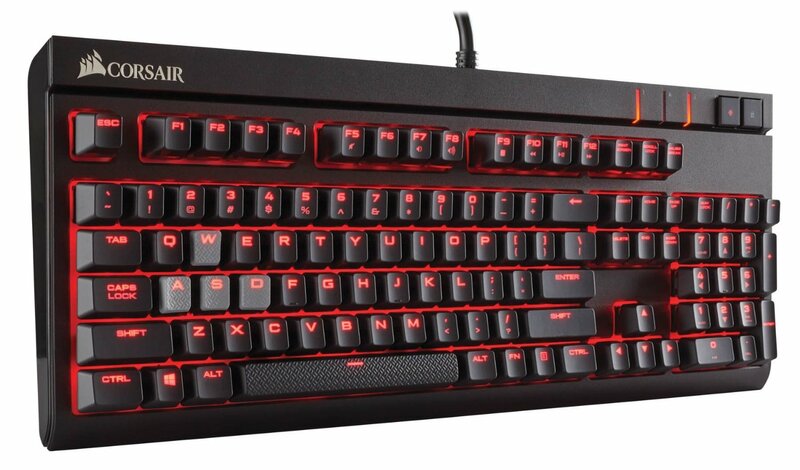 This one is just like the Corsair gaming STRAFE RGB Keyboard, except it isn't RGB, but red backlight. 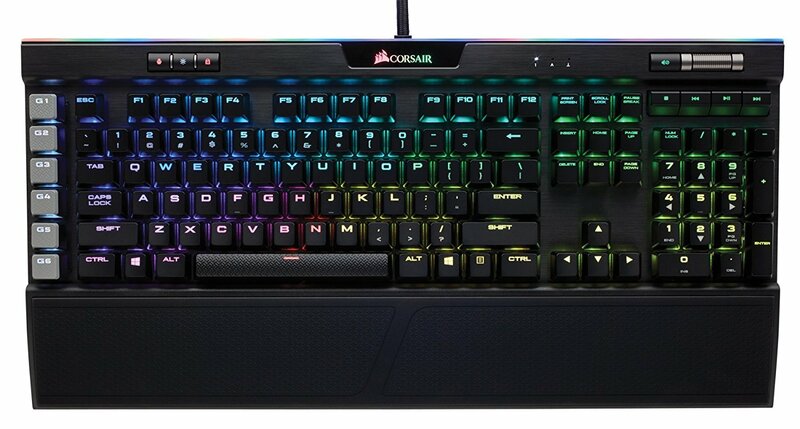 WARNING: Corsair STRAFE Keyboard requires software “Corsair Utility Engine” to work. You cannot use programed keys without Corsair's software. You may have problems using it in Linux or Mac. Do not buy. 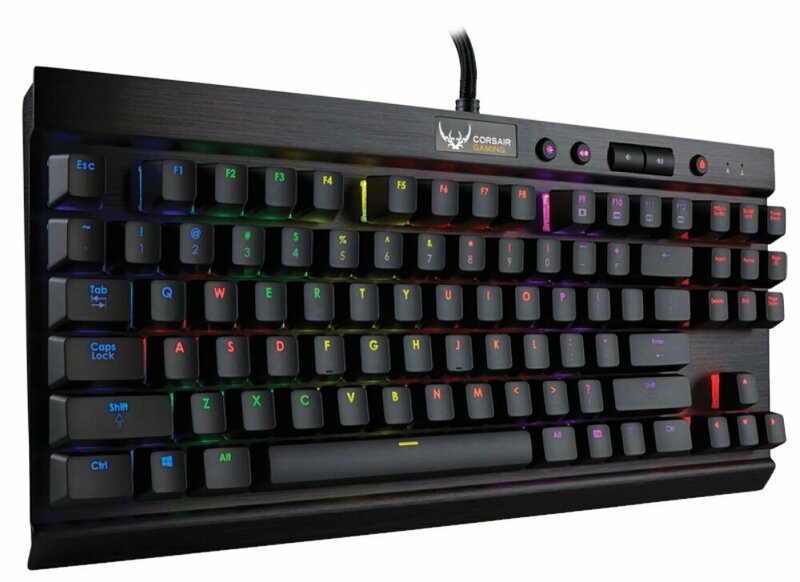 Corsair Gaming Strafe Mechanical Keyboard: Cherry MX Red Switches: Overview. By Joanne Tech Lover. 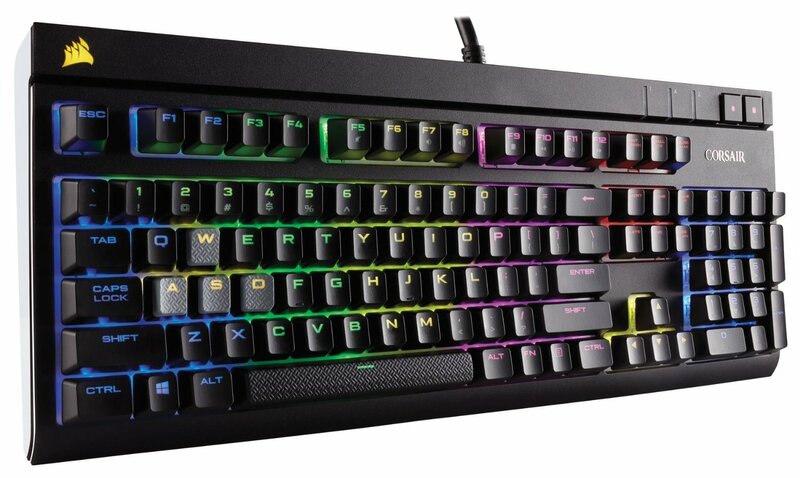 The K65 RGB is compact. No number pad.